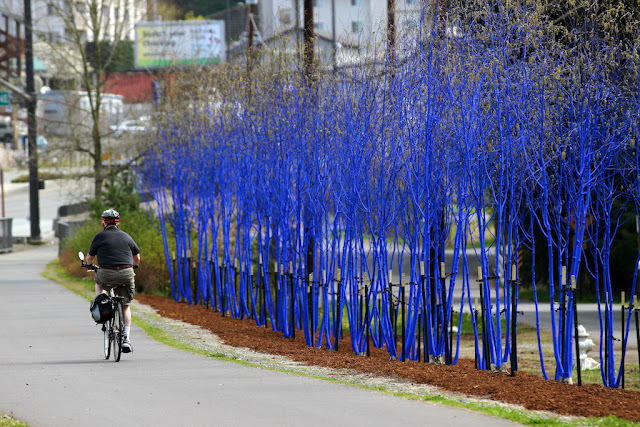 I have been coming across a few tree installations in seattle, and I wanted to share! "Artifical Light" by Susan Tidwell. Her mission was to bring light to the drab winter in Seattle. 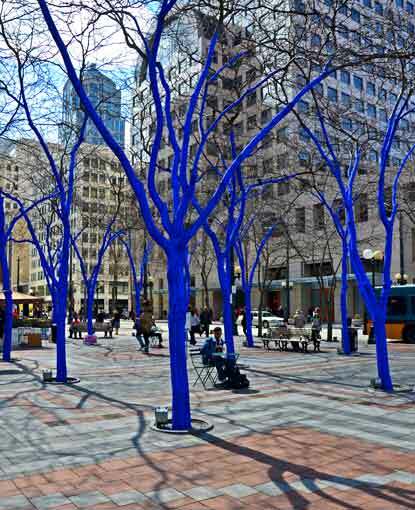 She has also installed in Occidental Park and City Hall Park. 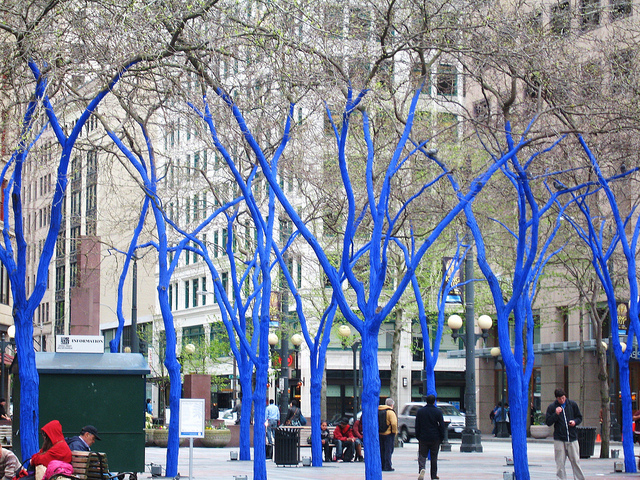 "The Blue Trees" by Konstantin Dimopoulos is an installation to represent deforestation. He paints the trees with a biologically safe water paint, so they are not harmed. 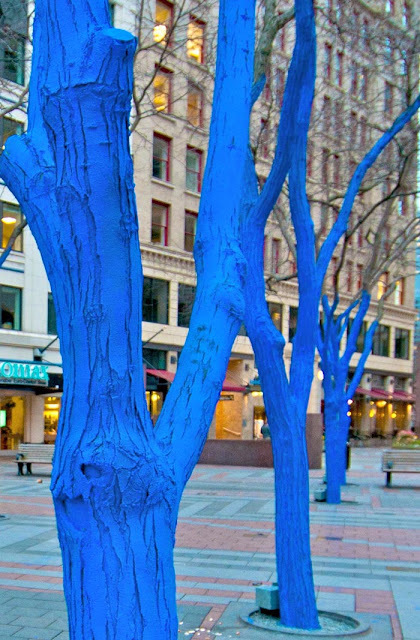 There are two installations in Seattle: Kenmore along Burke Gilman and in Westlake Center. Check his work and artists statement here.